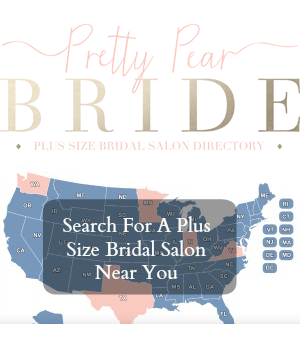 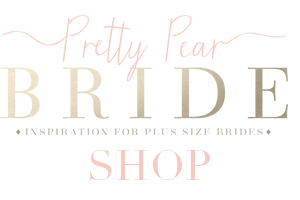 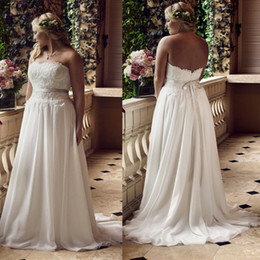 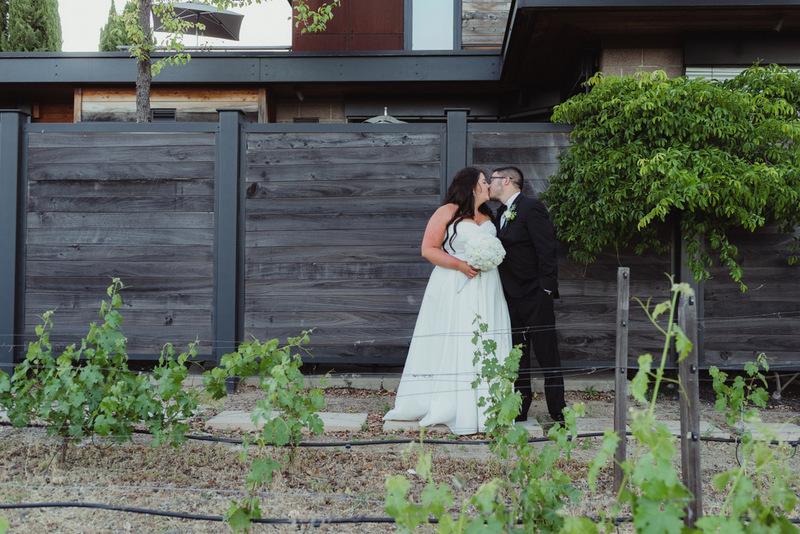 Today’s wedding takes place in the Napa Valley, yep one of my favorite places. 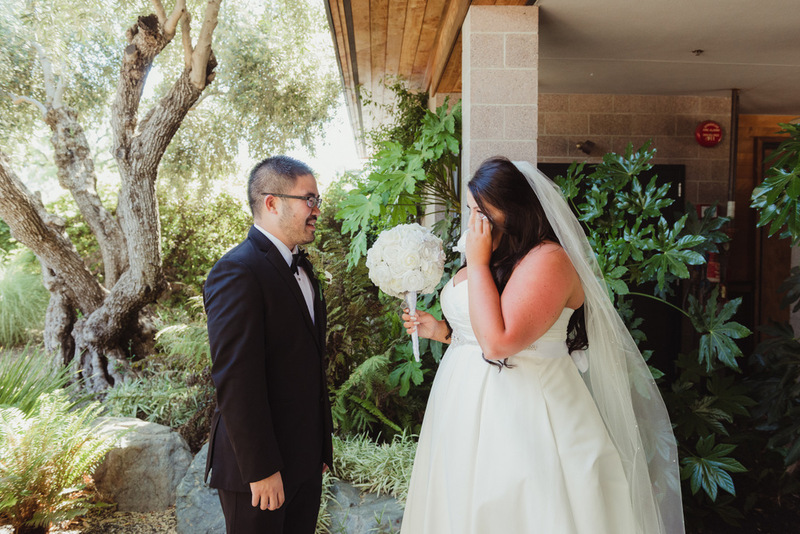 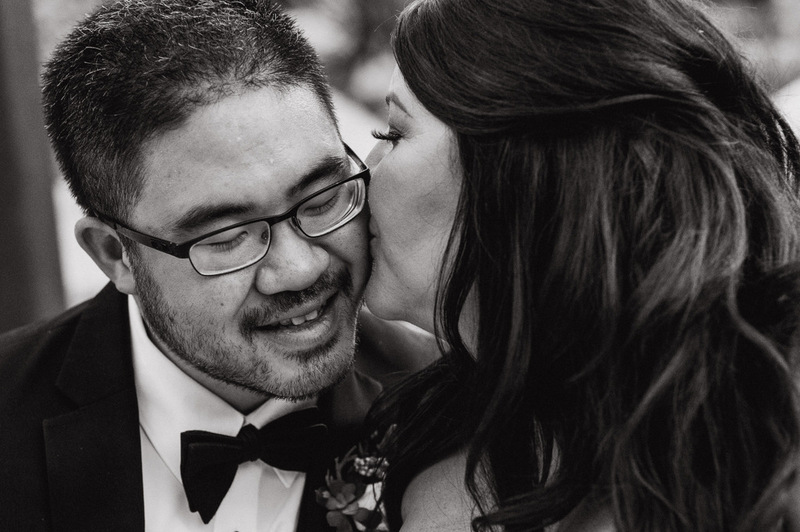 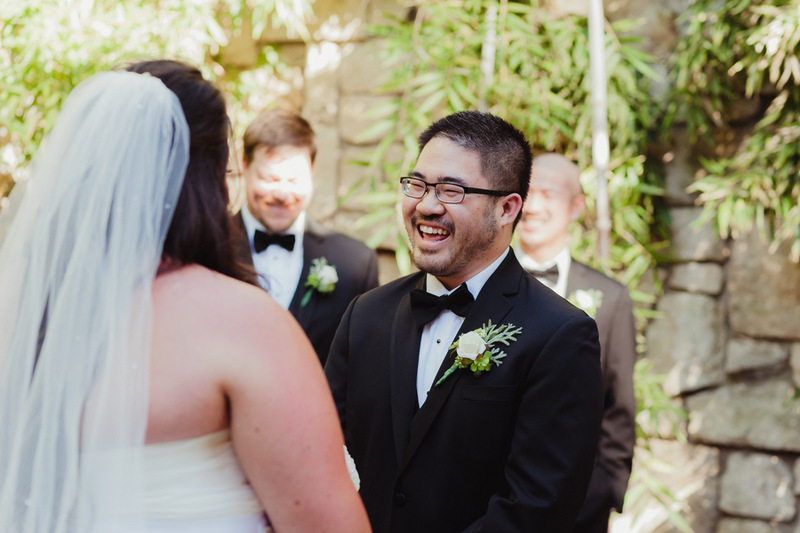 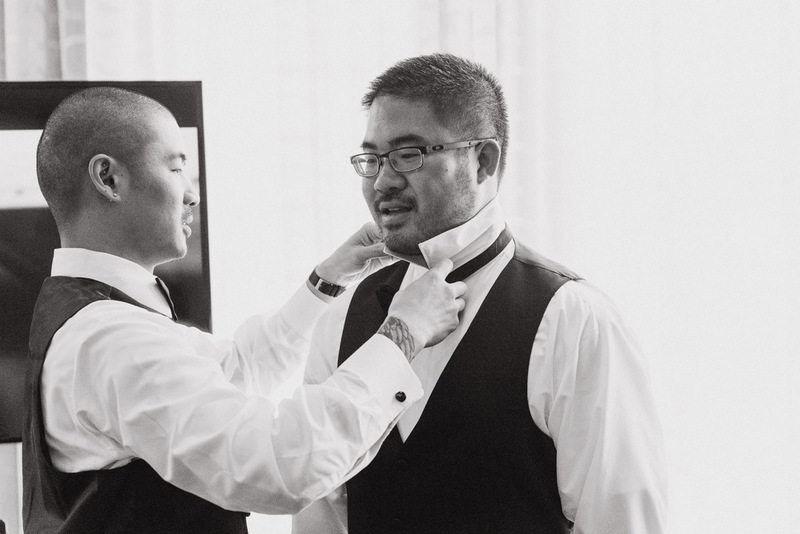 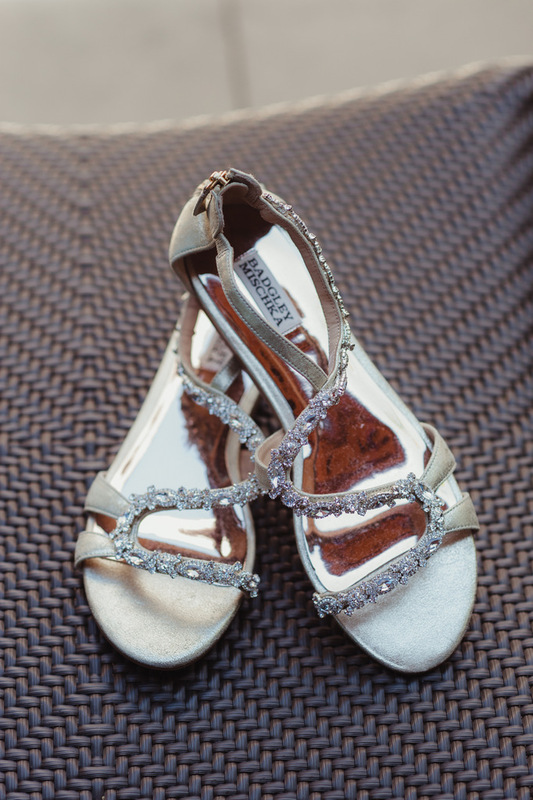 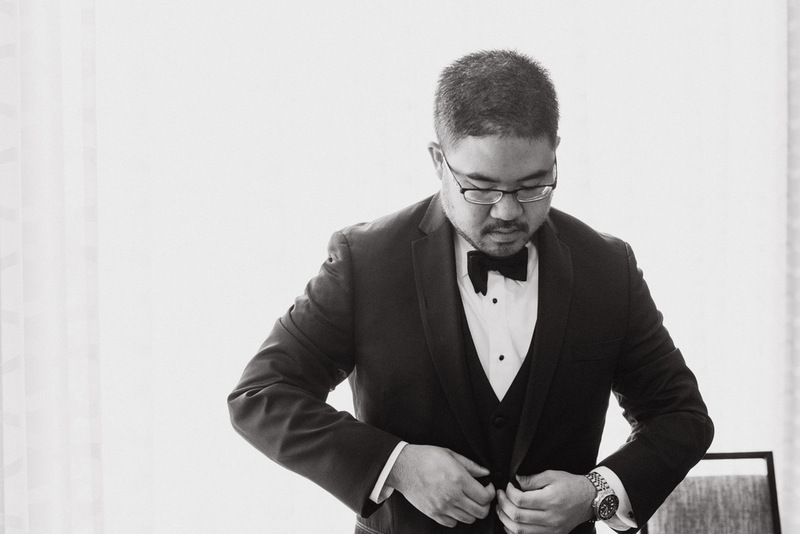 It’s an intimate destination wedding for these two with 30 of their closest friends and family. 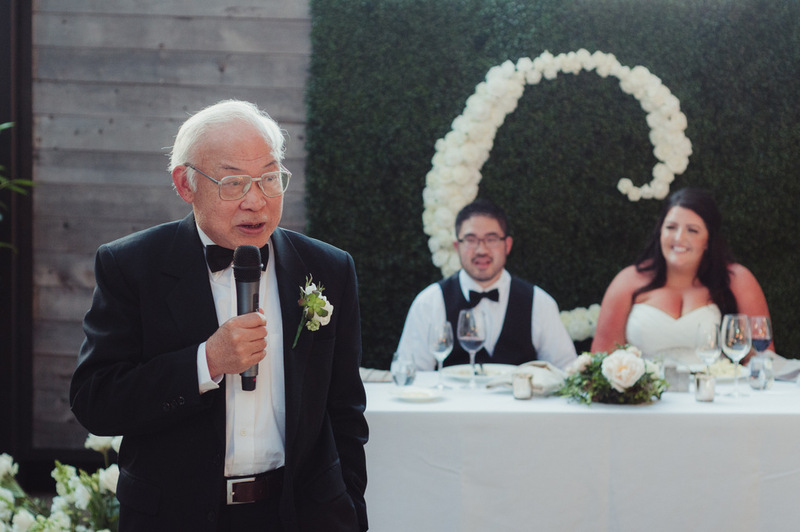 And the highlight of the event was the bride’s dad officiating. 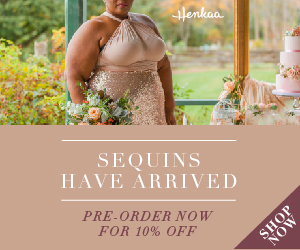 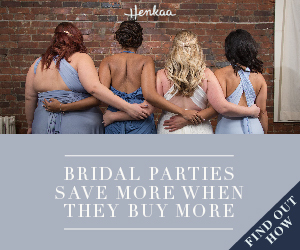 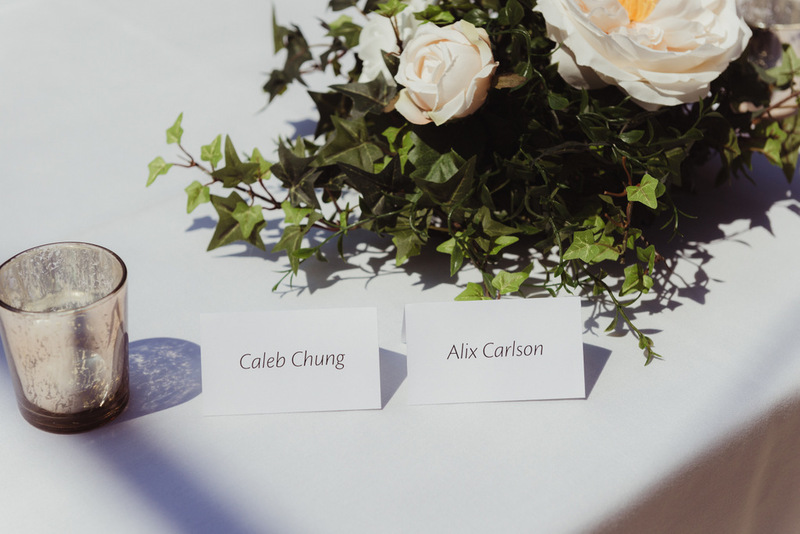 I just love that special little touch. 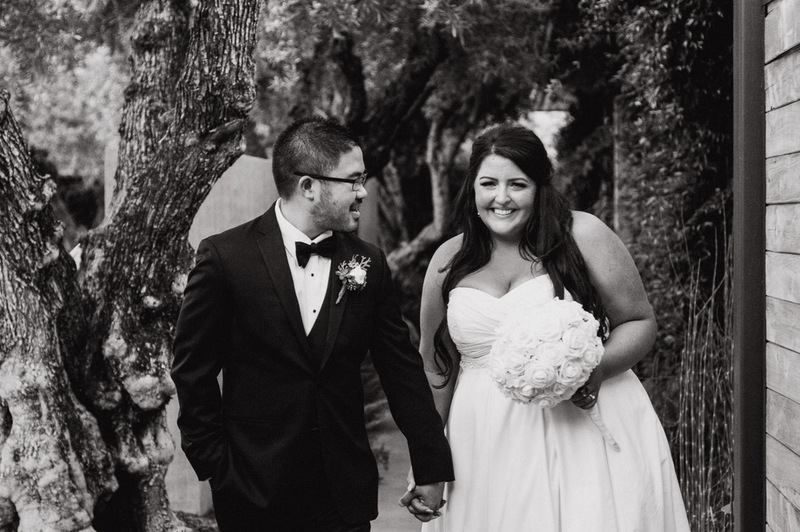 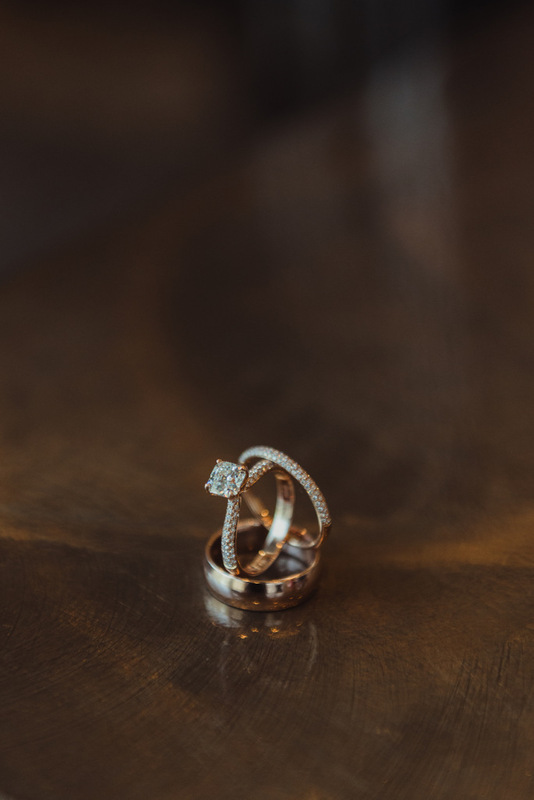 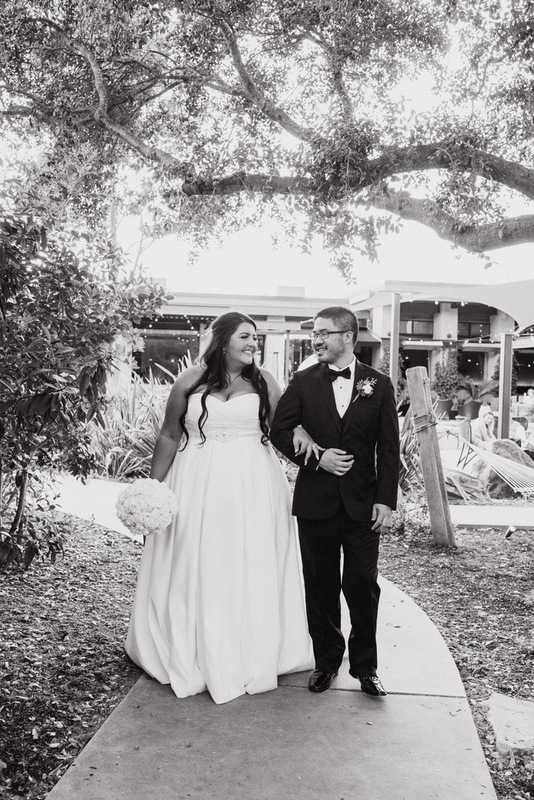 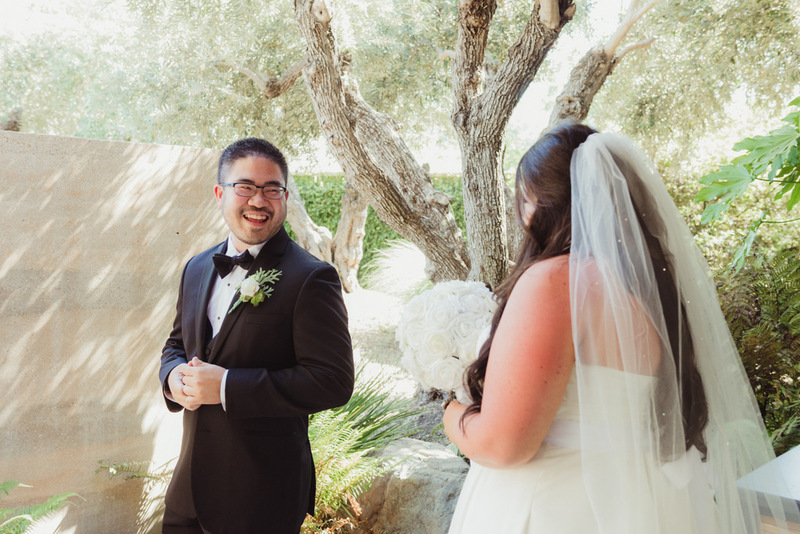 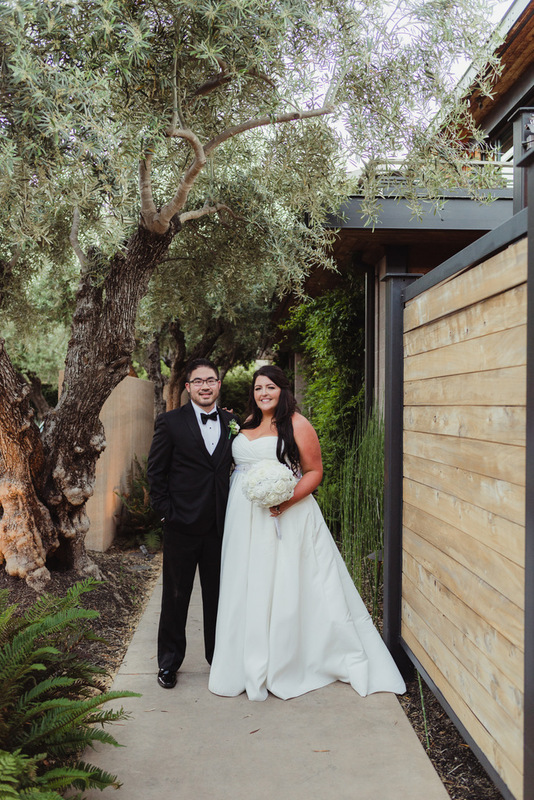 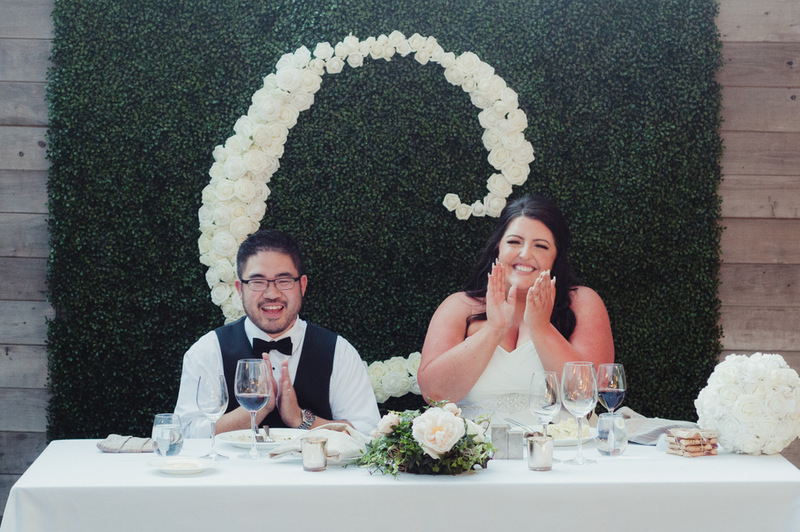 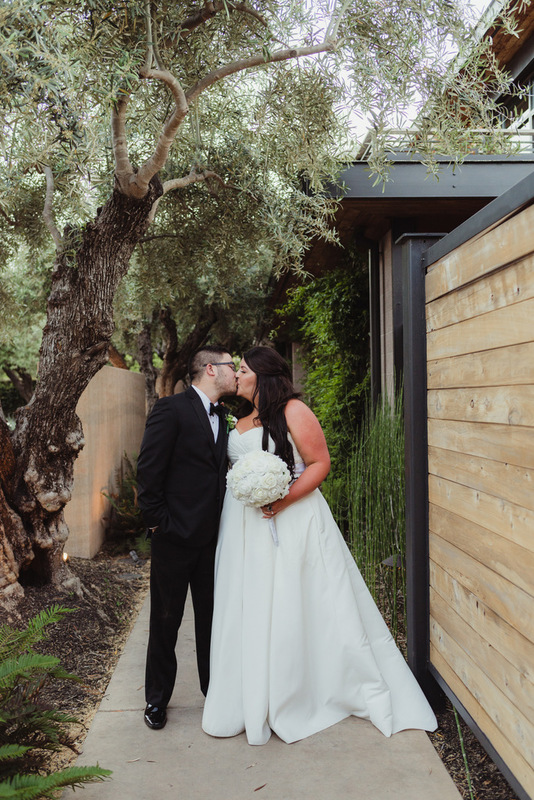 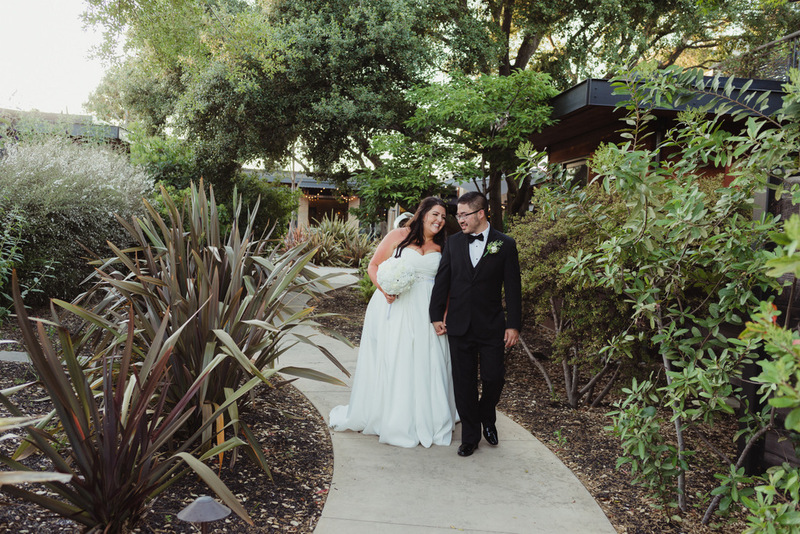 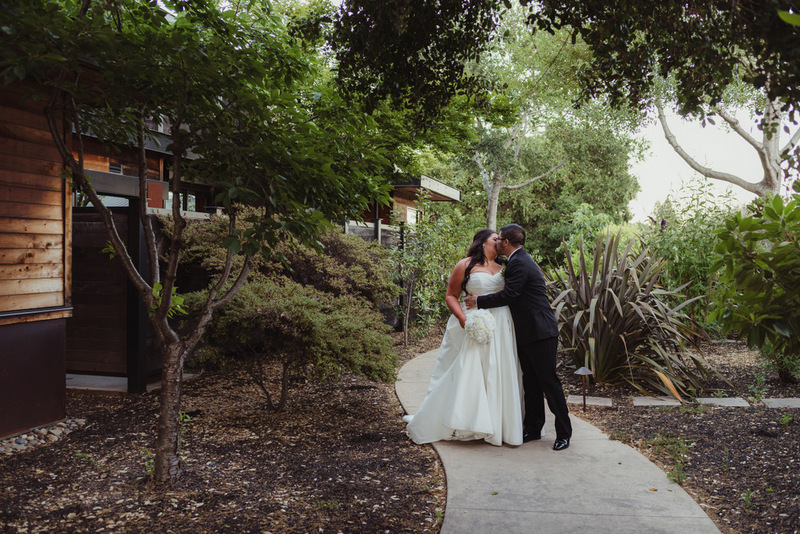 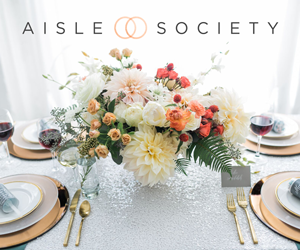 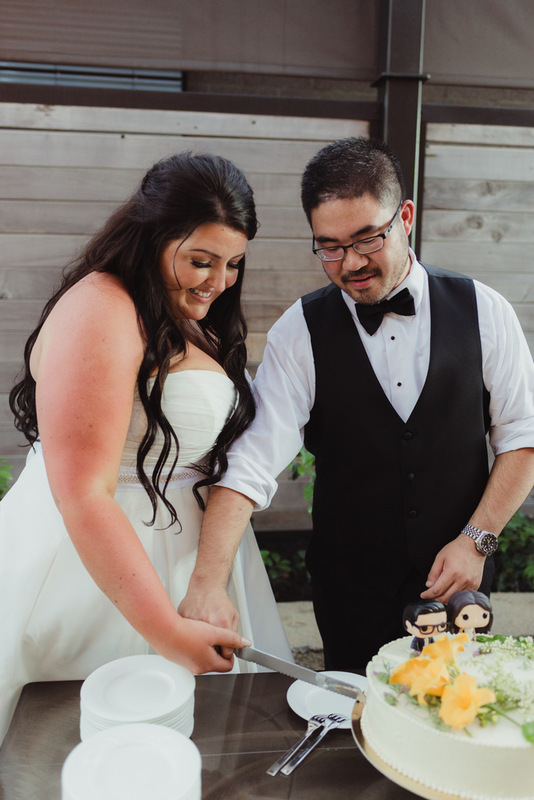 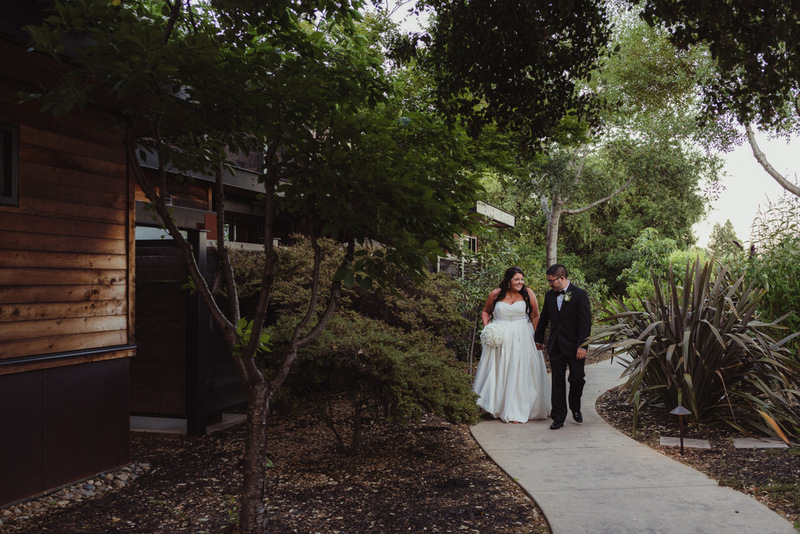 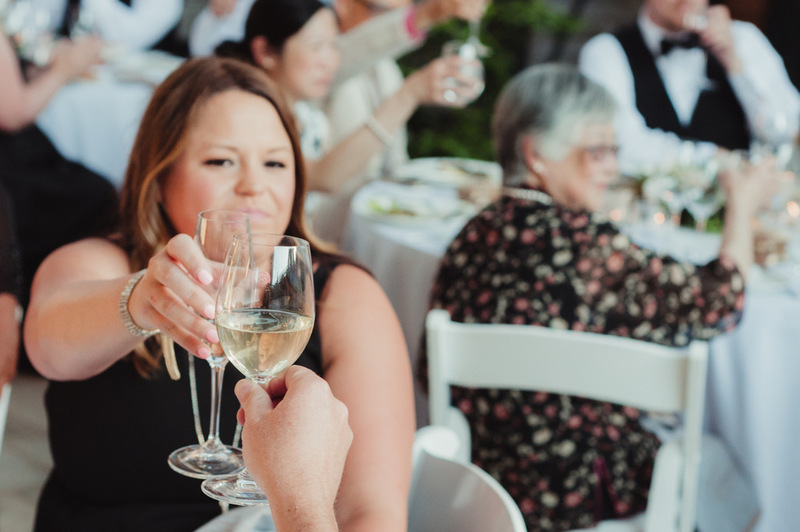 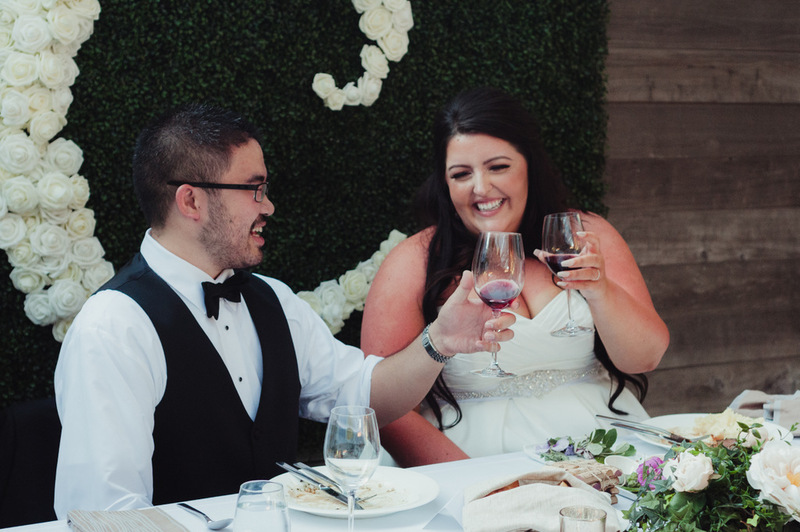 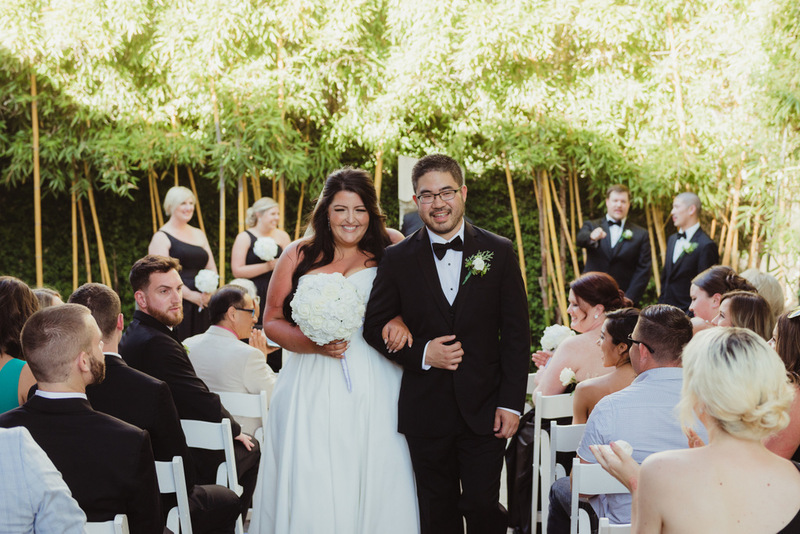 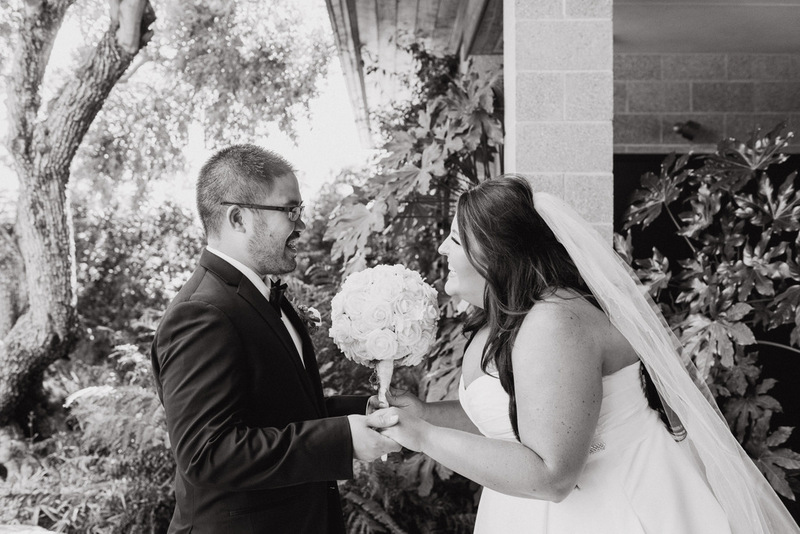 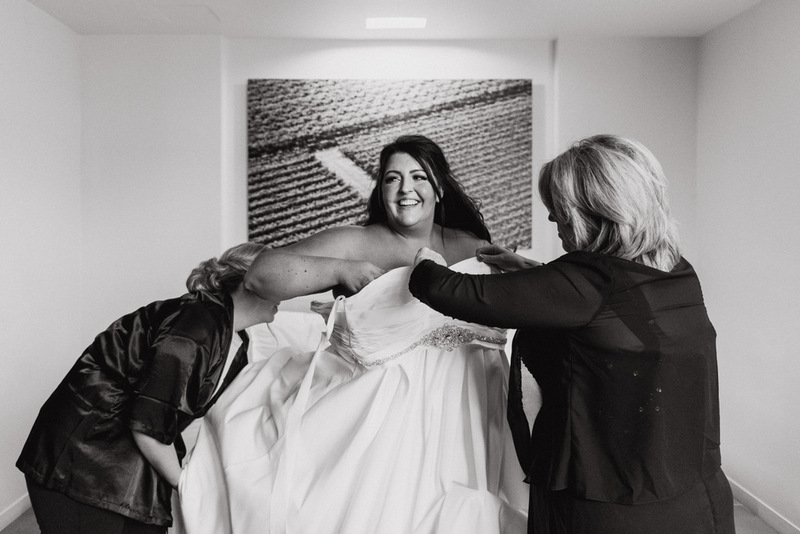 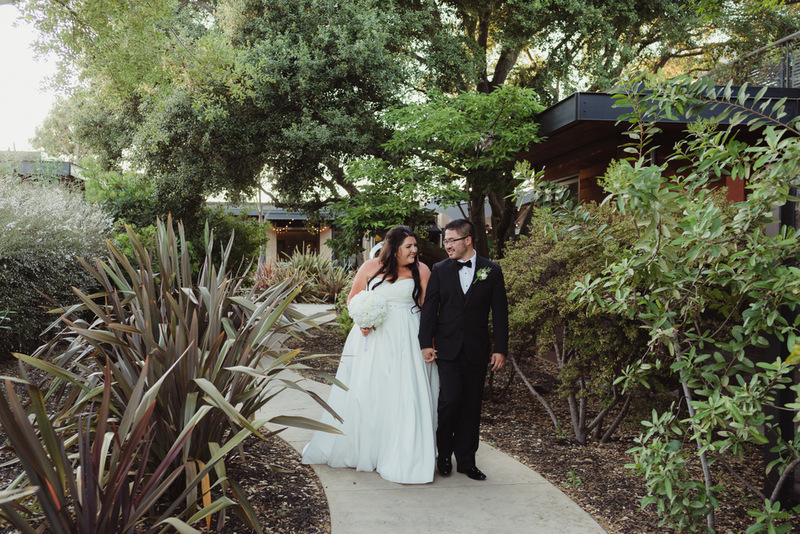 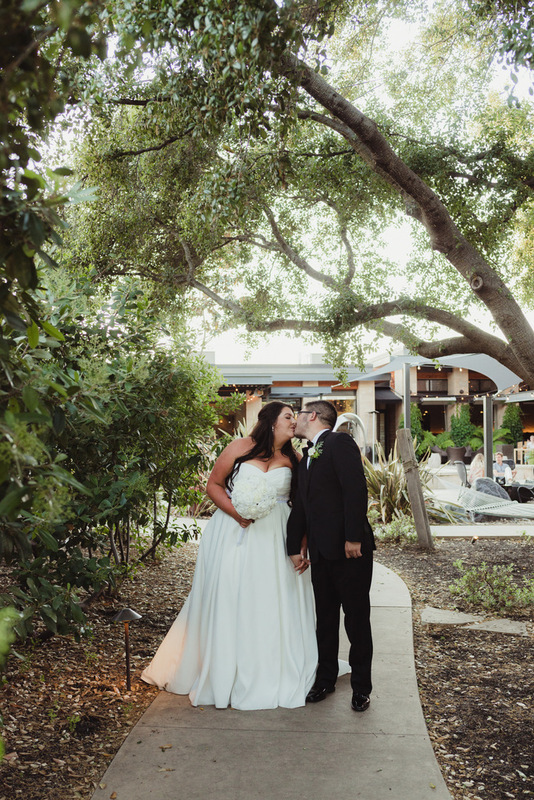 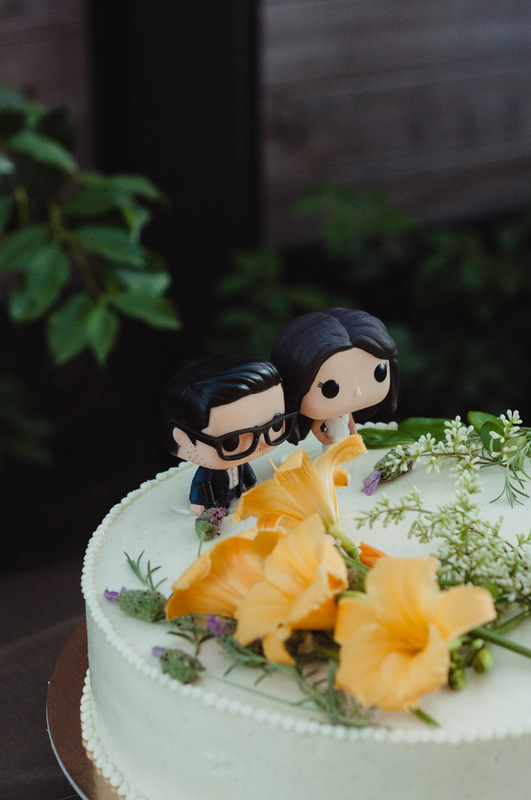 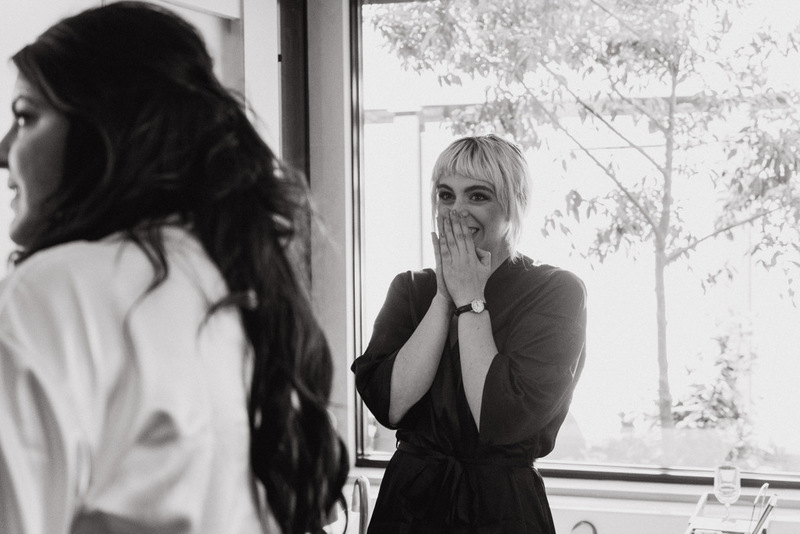 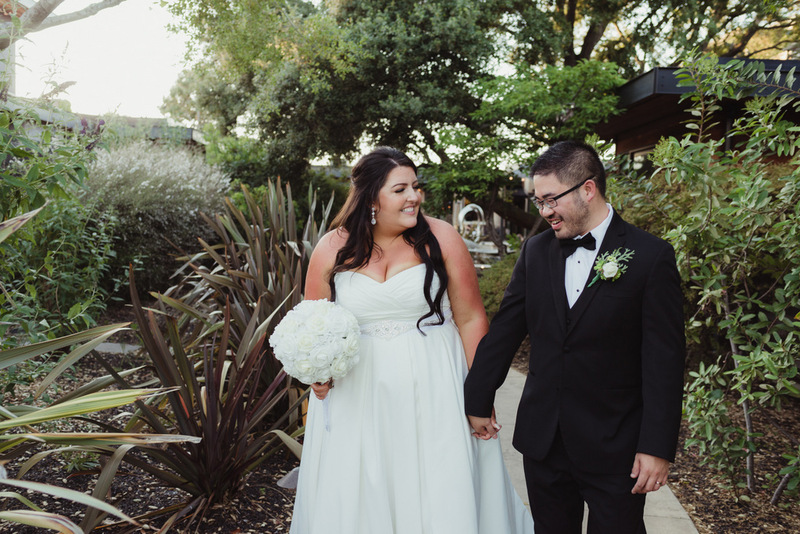 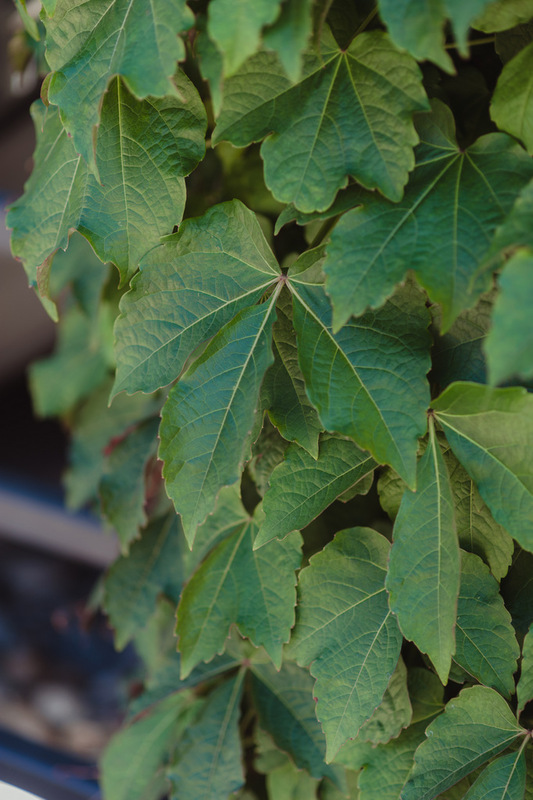 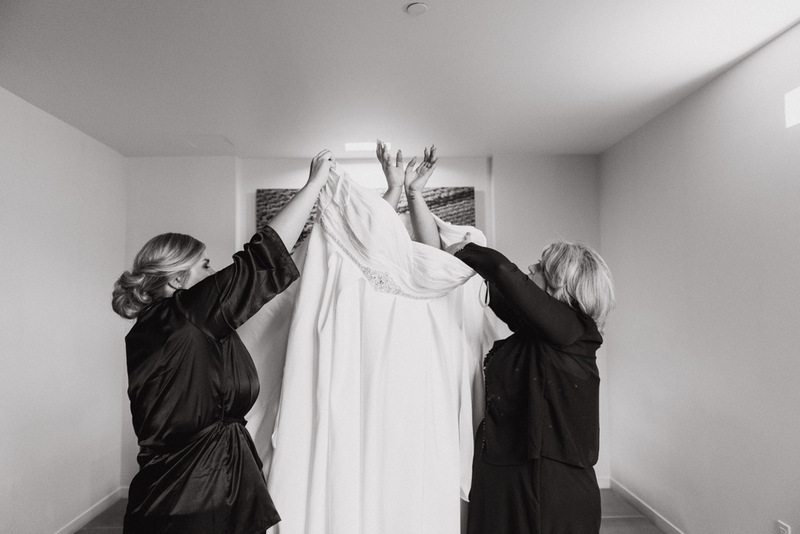 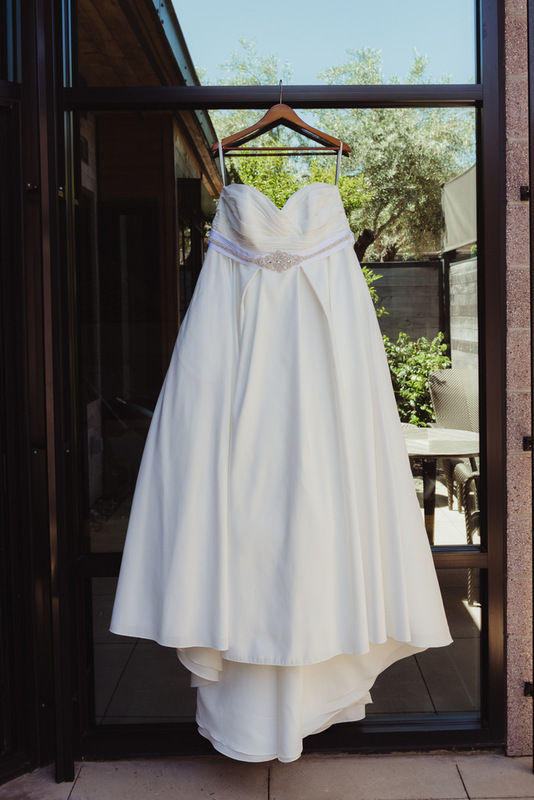 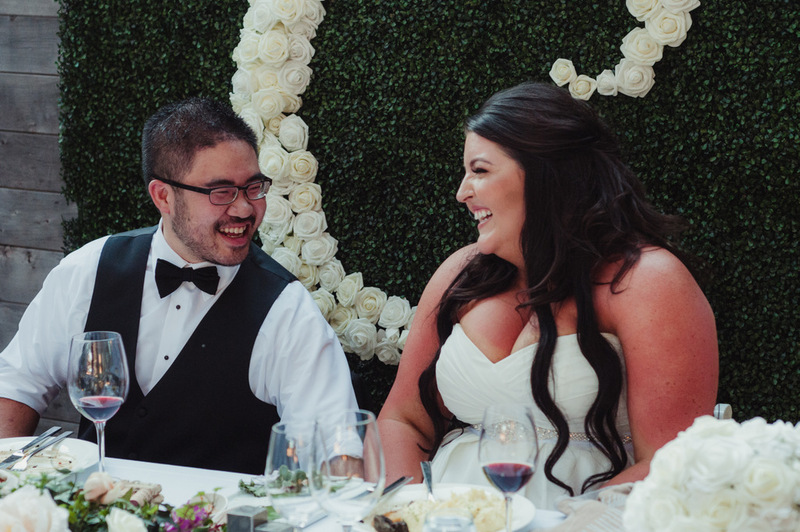 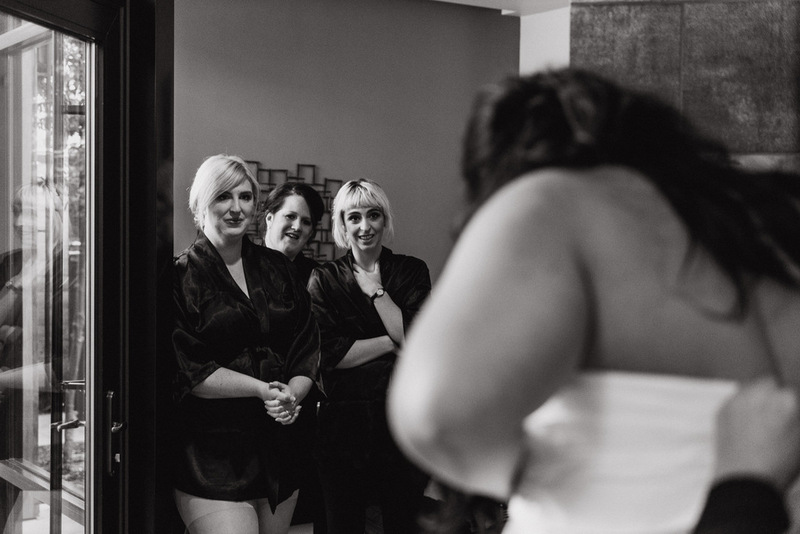 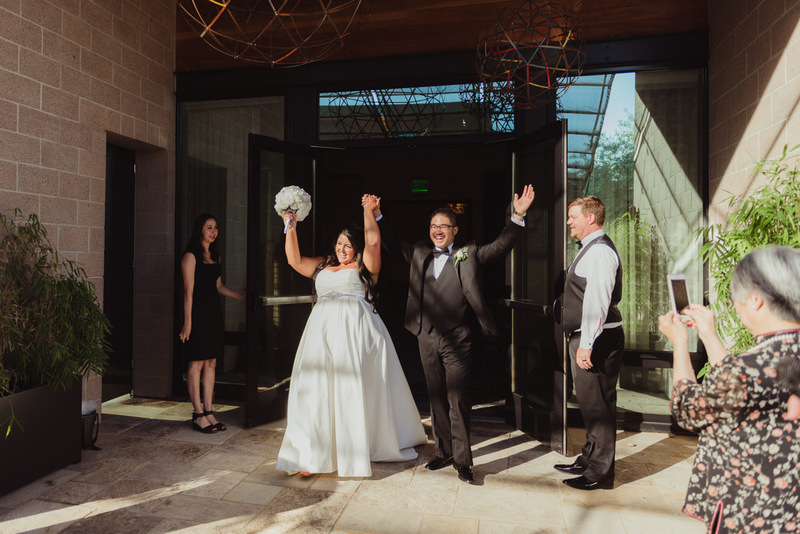 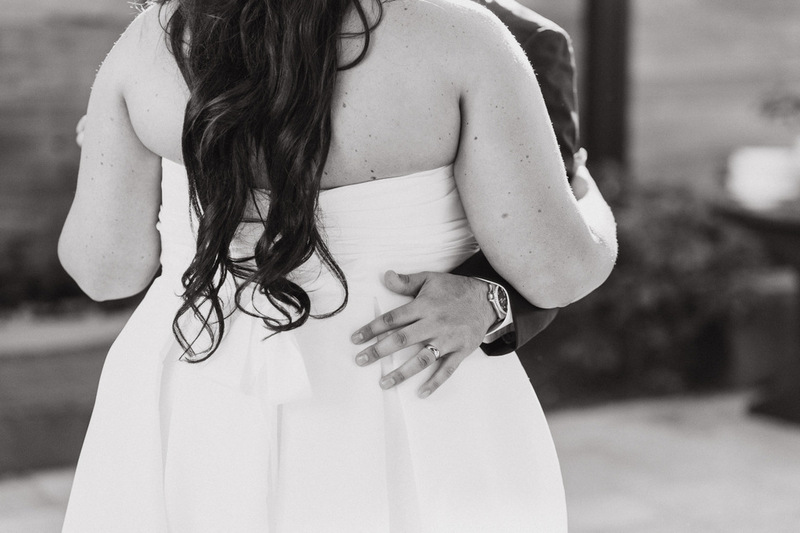 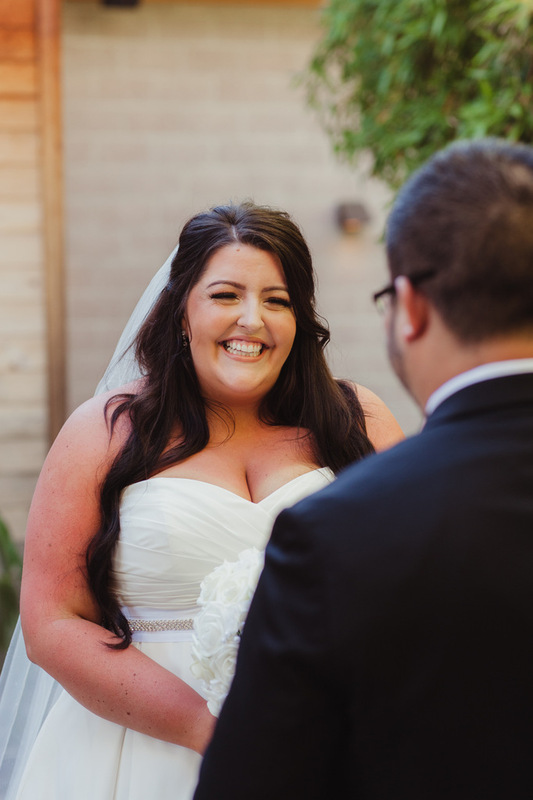 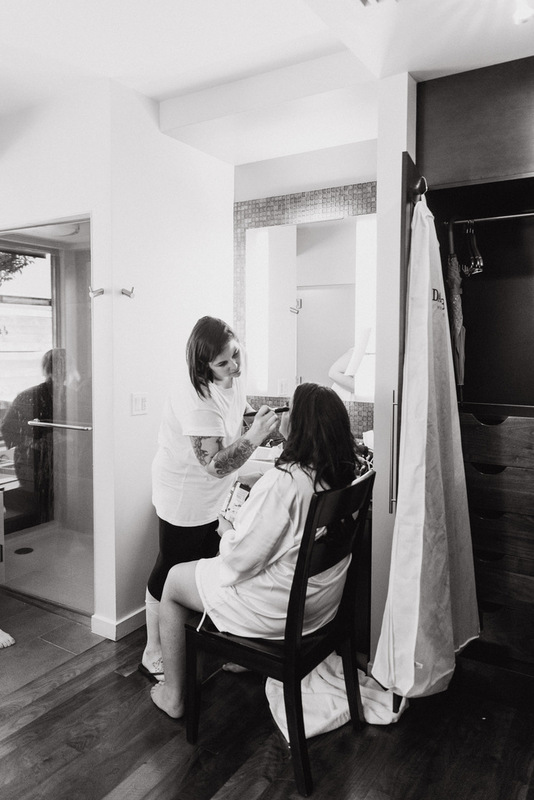 From the Photographer: Alix and Caleb flew down from Seattle for their intimate Napa Valley destination wedding at the stunning Bardessono Hotel & Spa in downtown Yountville. 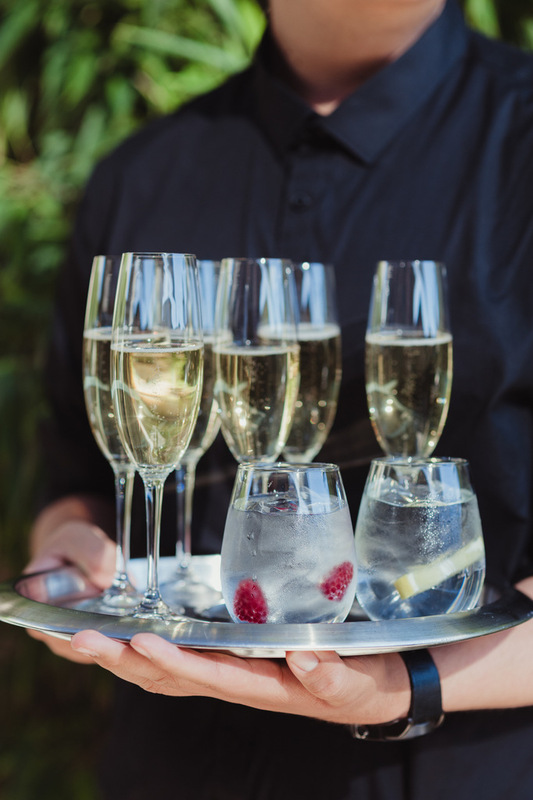 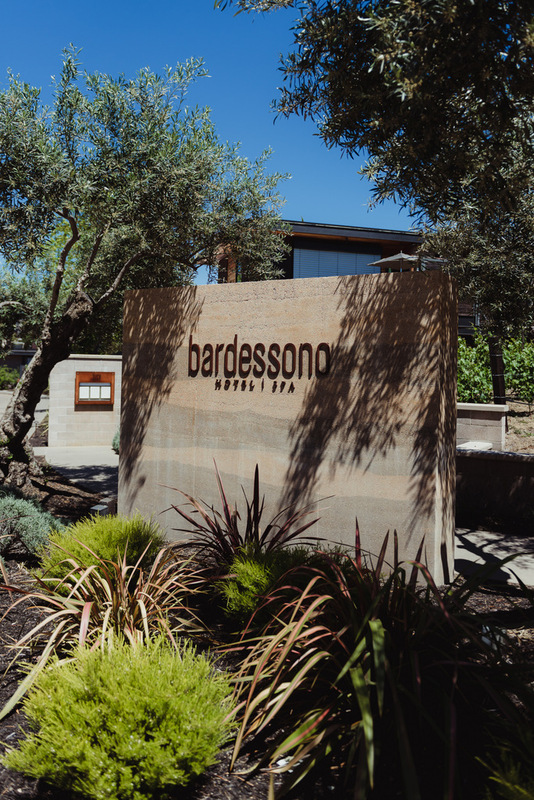 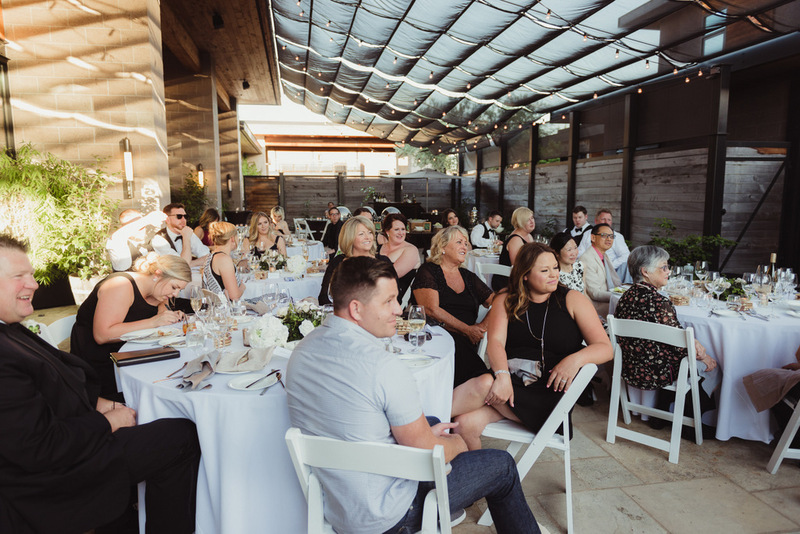 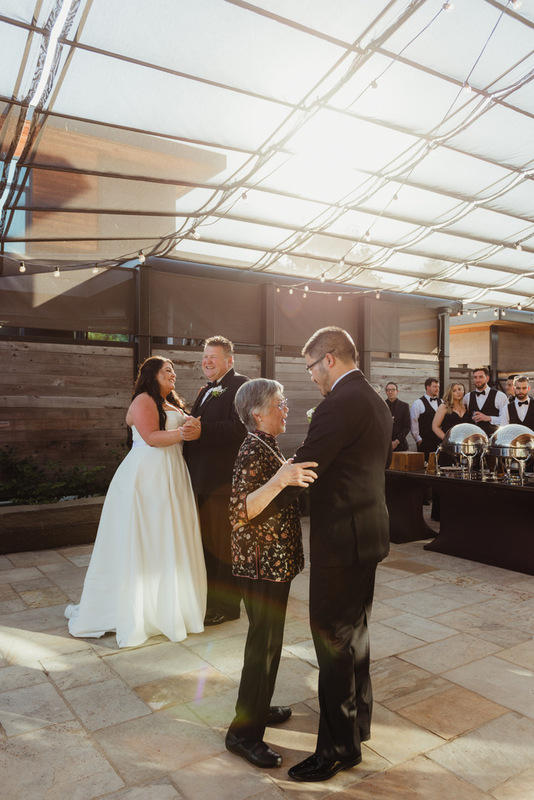 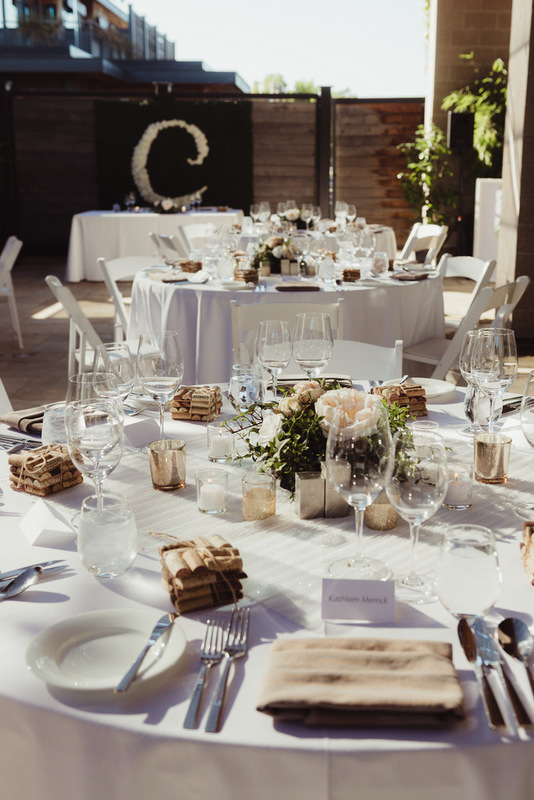 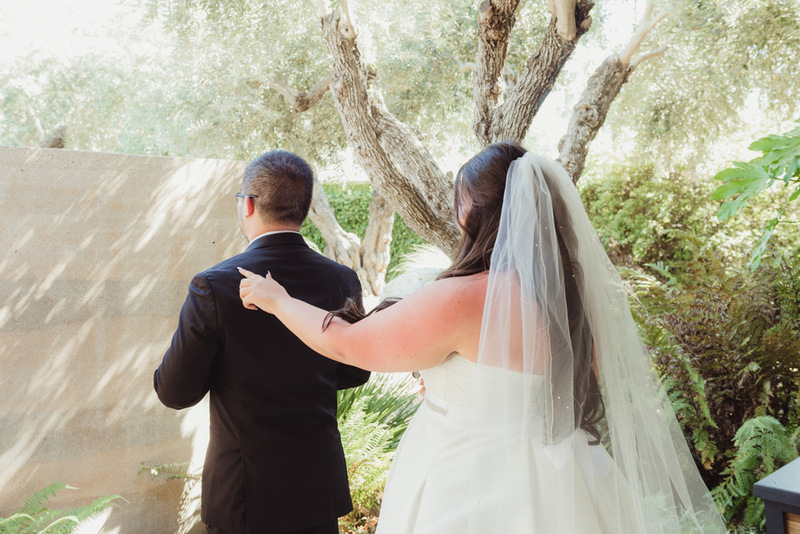 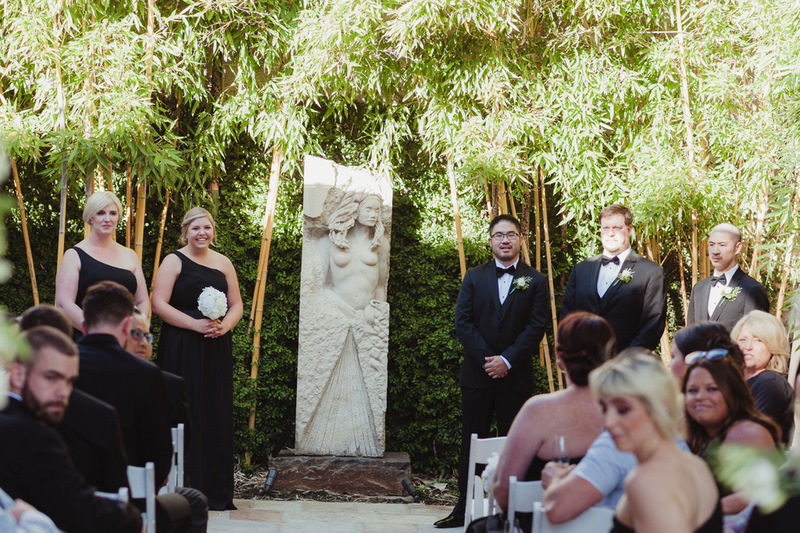 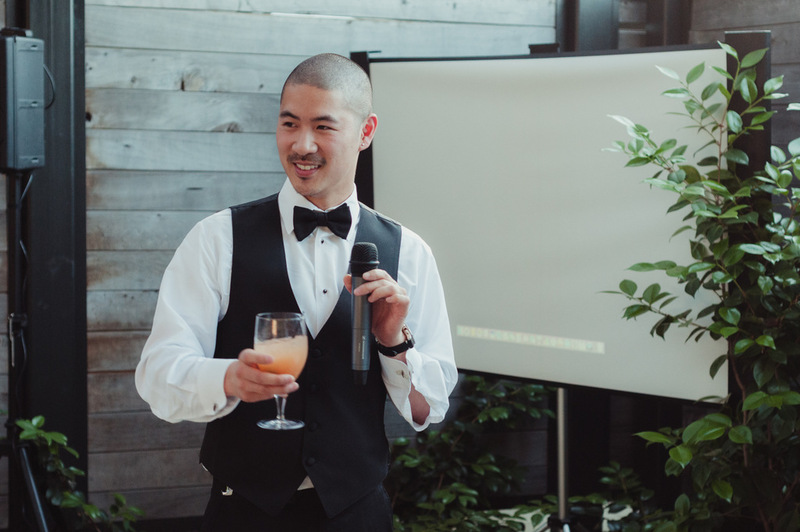 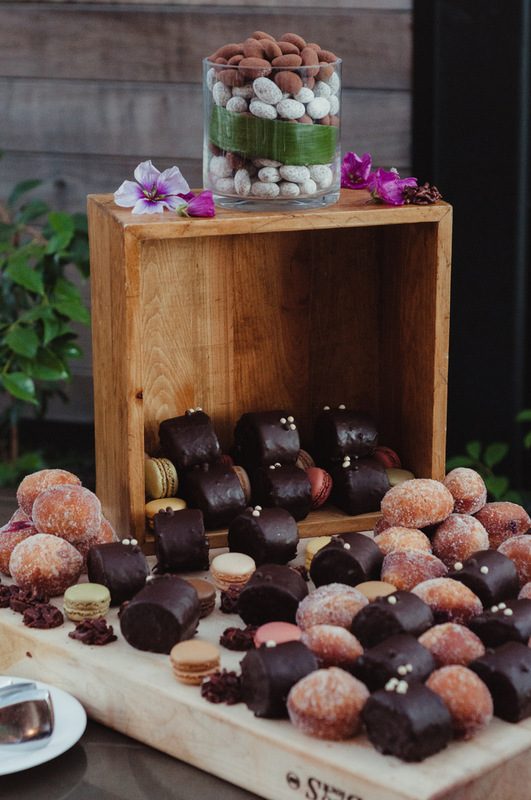 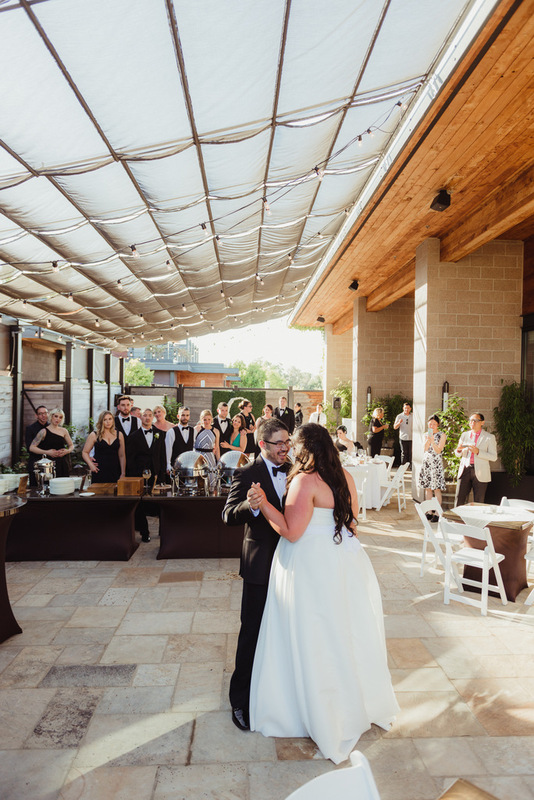 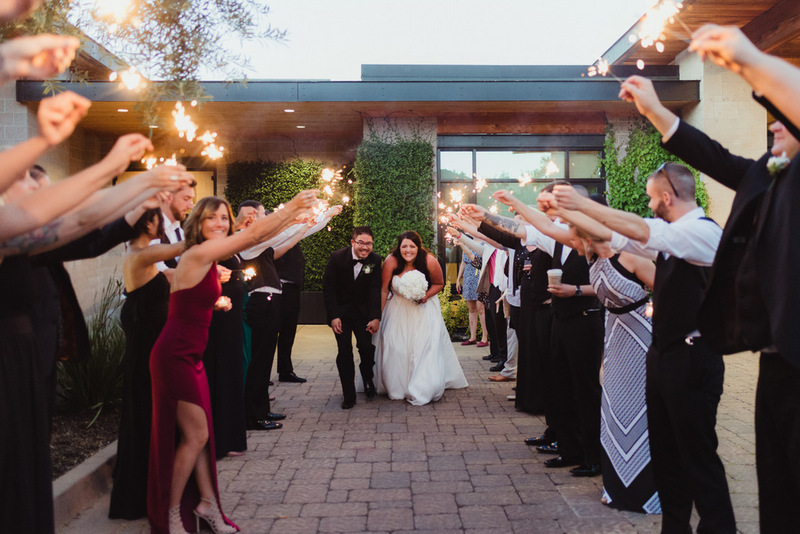 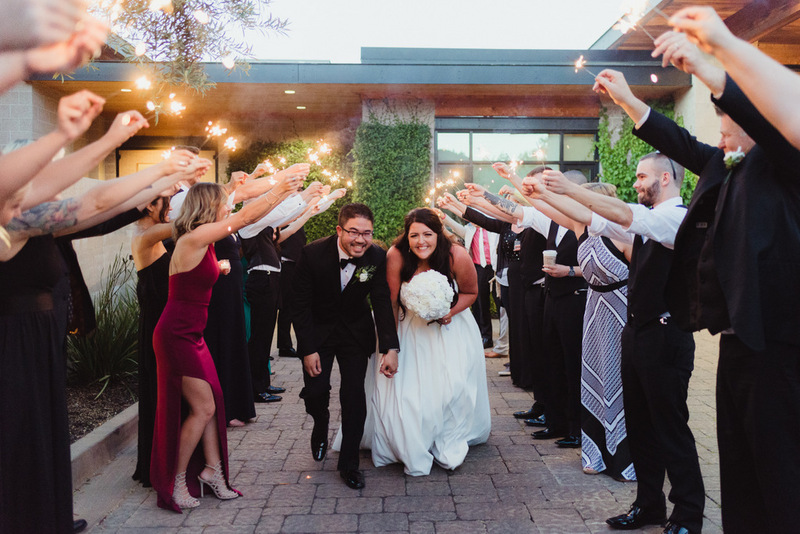 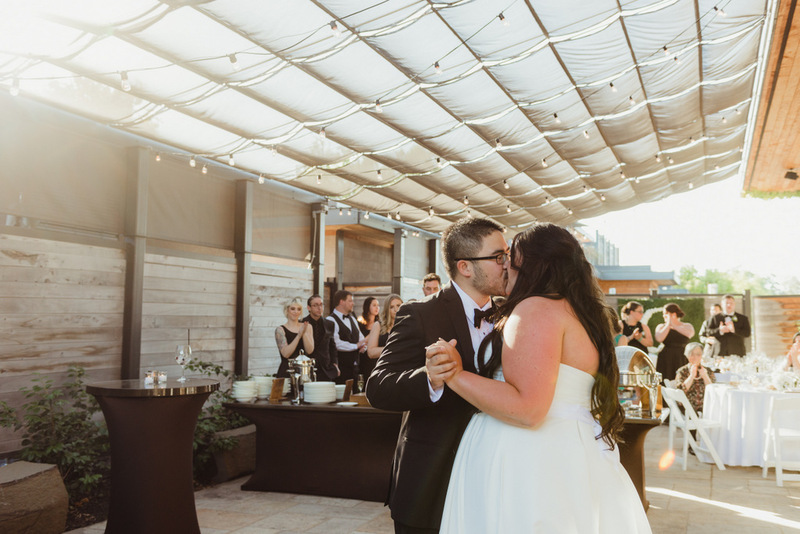 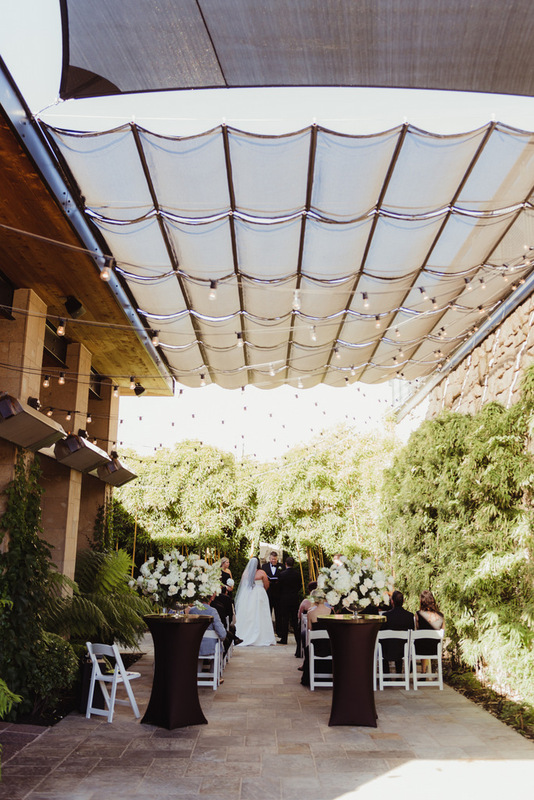 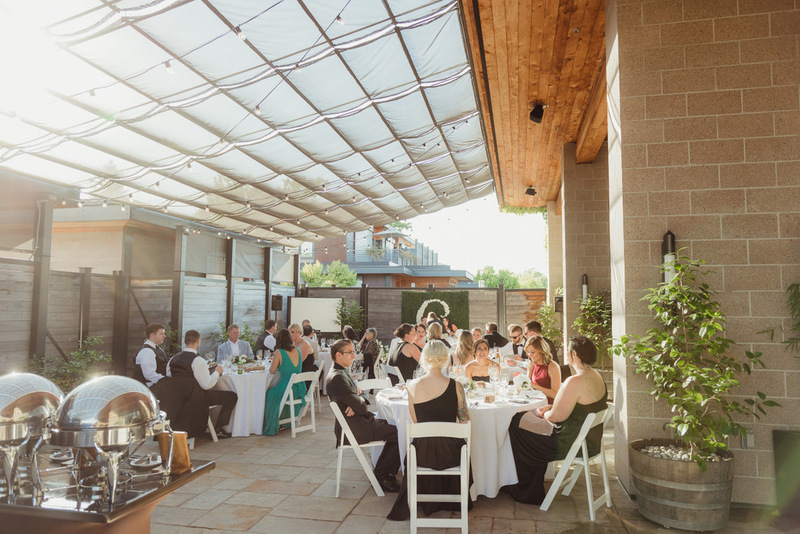 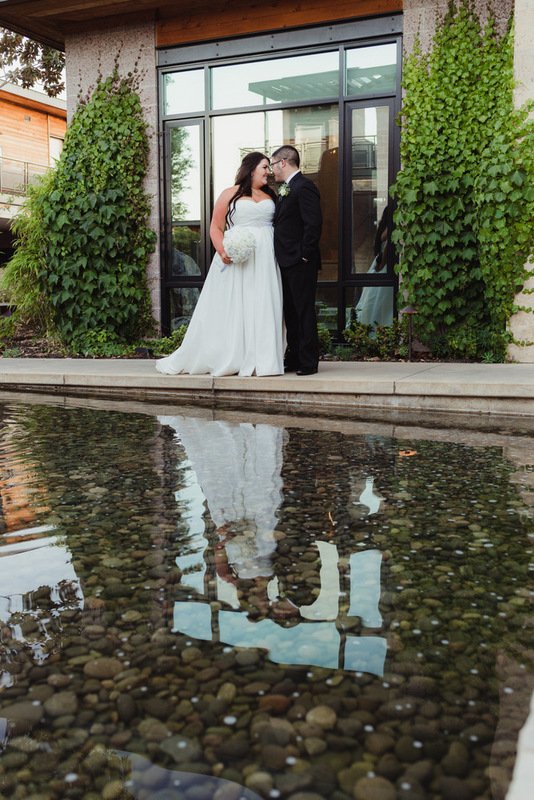 While wine country weddings usually conjure up images of vineyards and rustic barns, Bardessono’s modern architecture made for a unique backdrop for the day’s festivities. 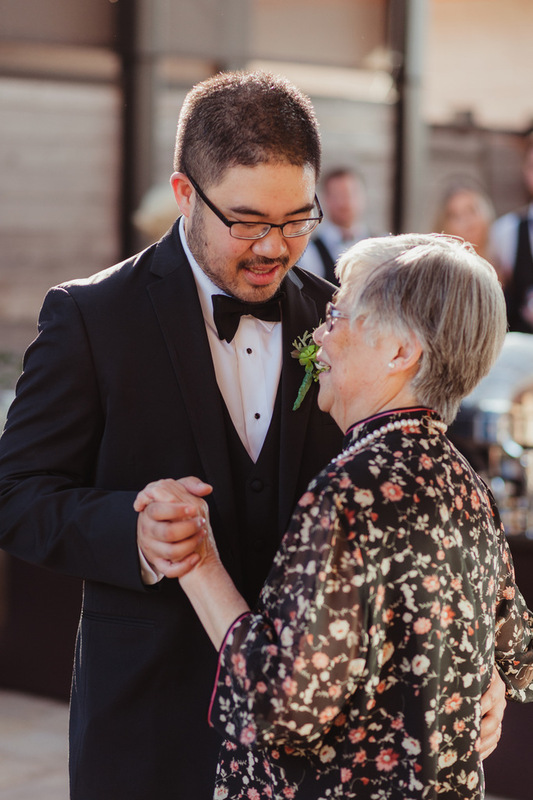 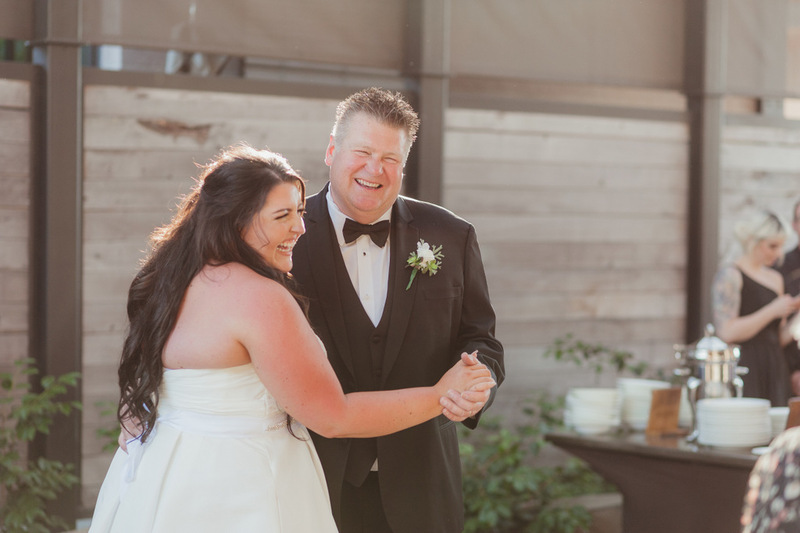 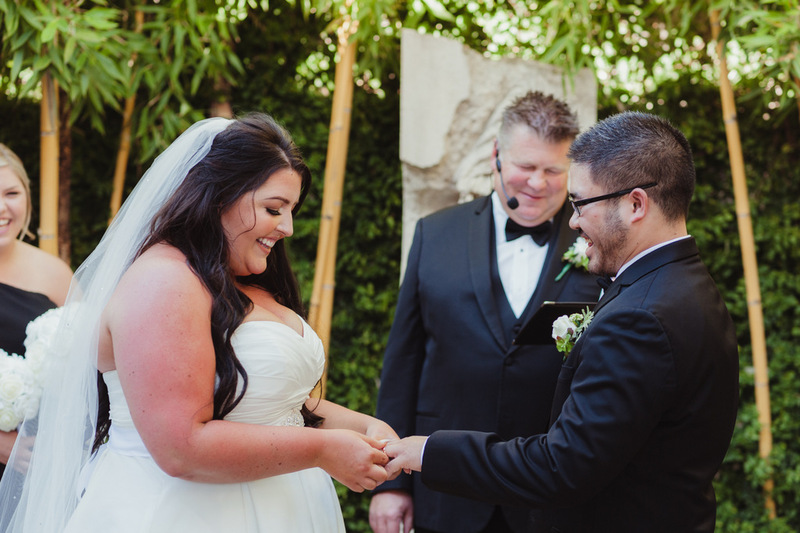 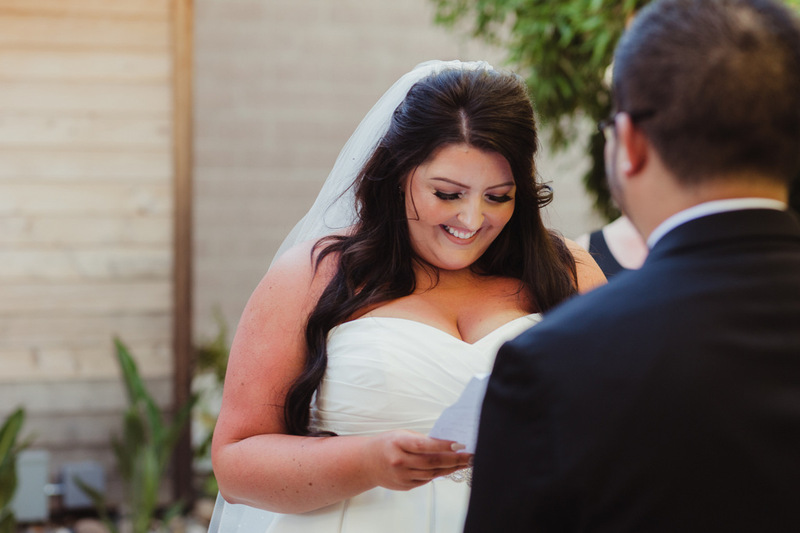 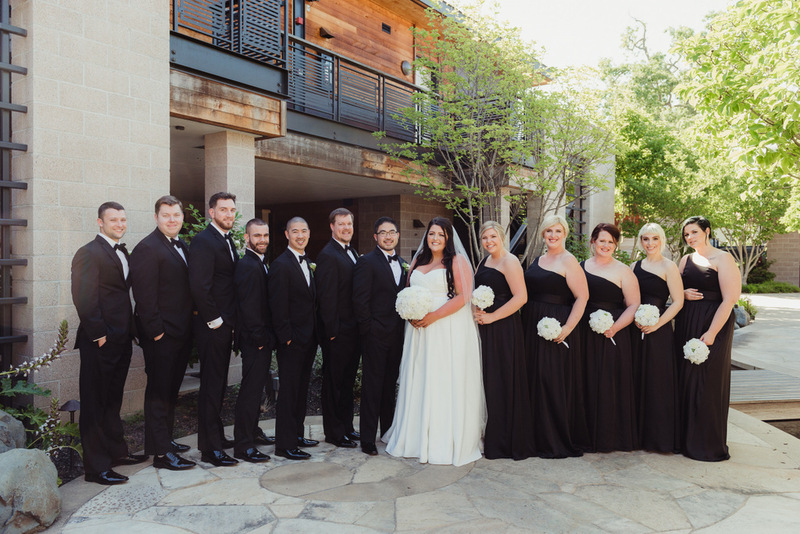 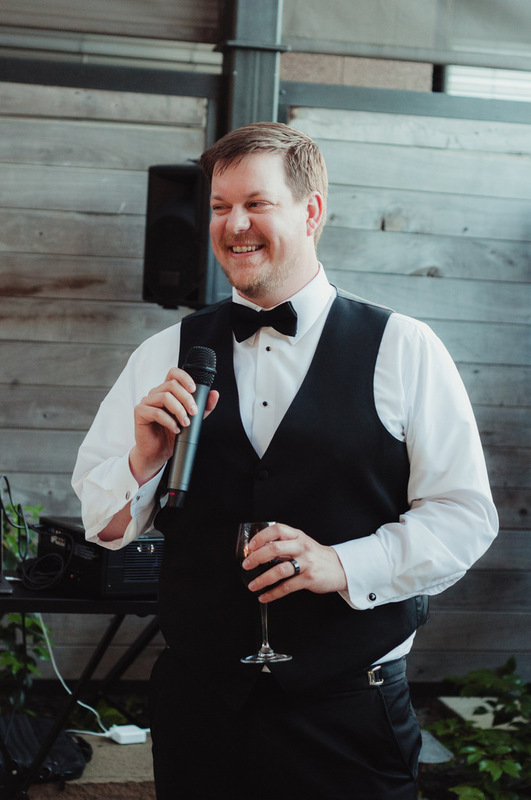 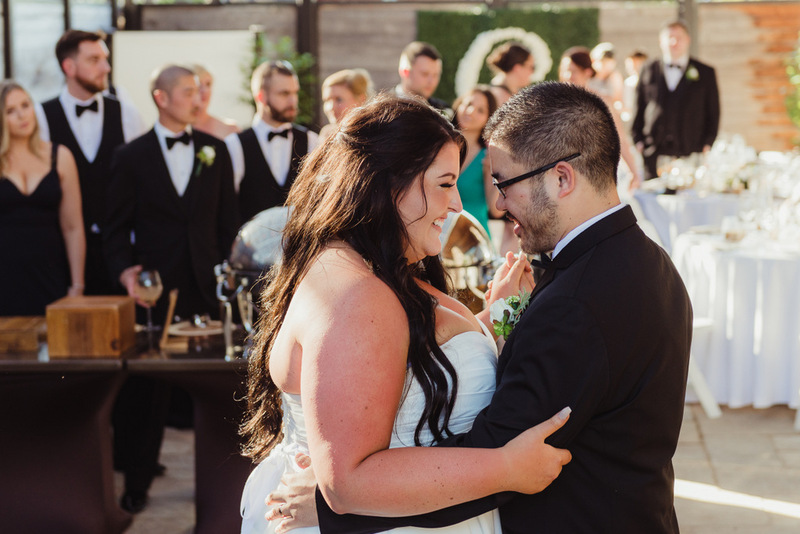 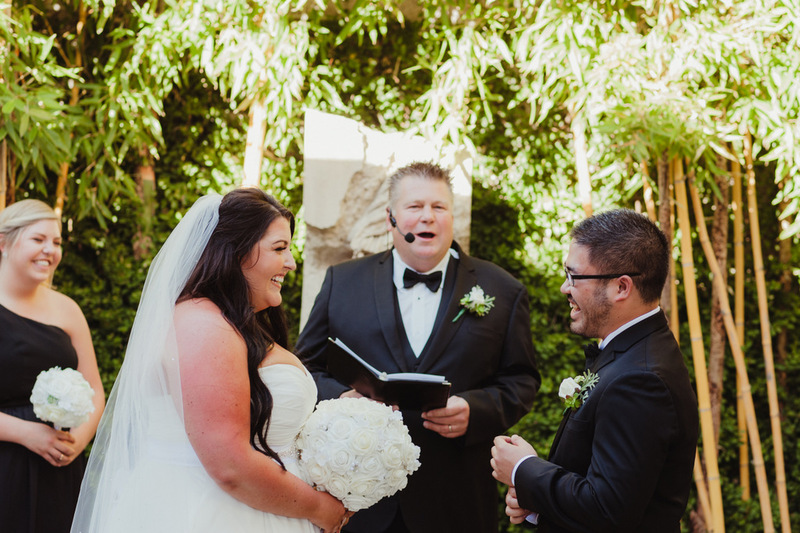 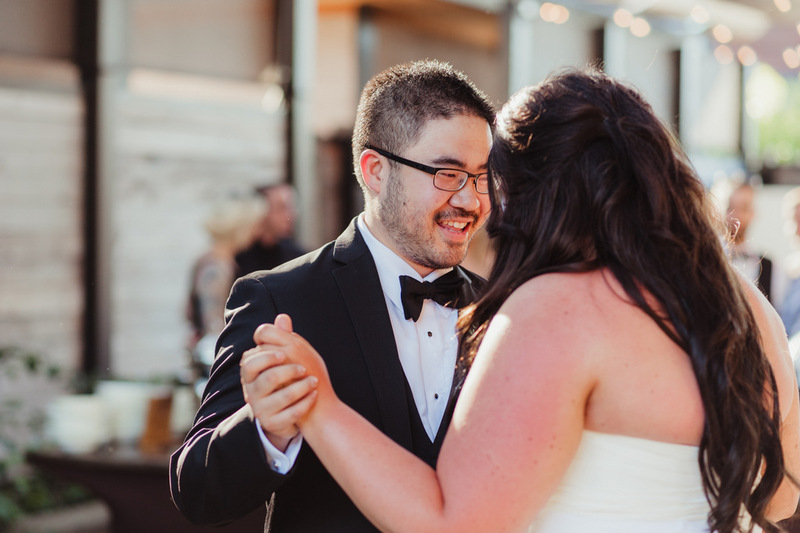 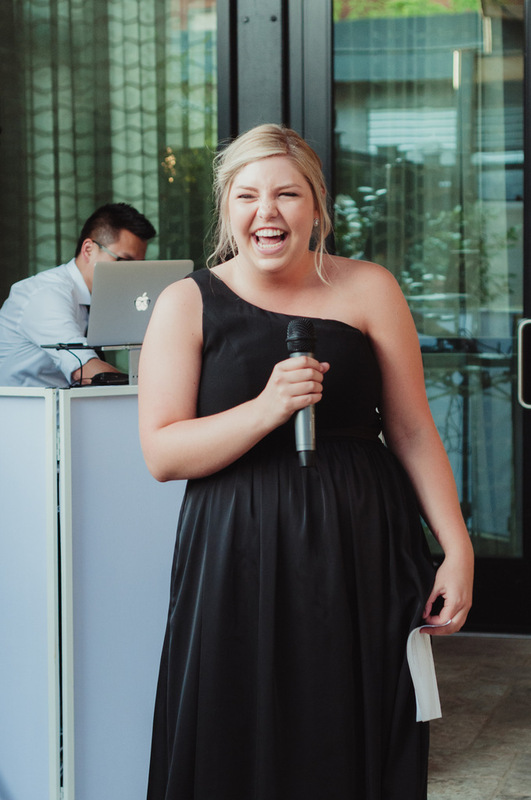 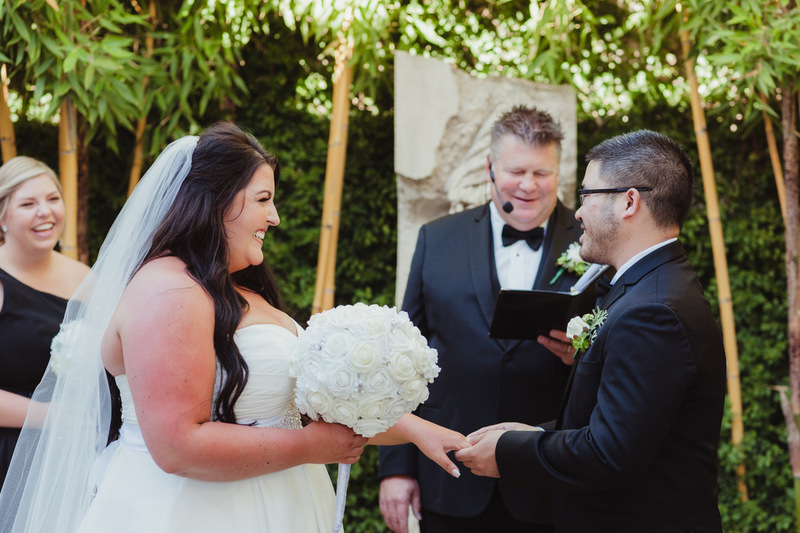 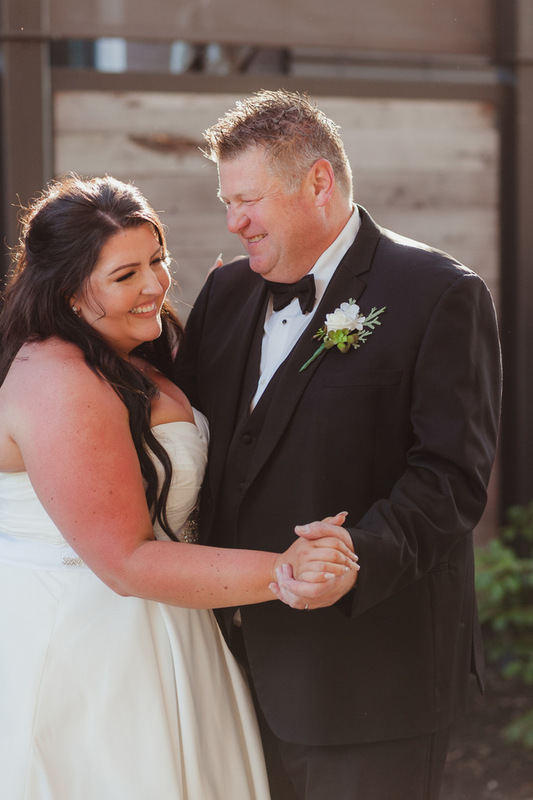 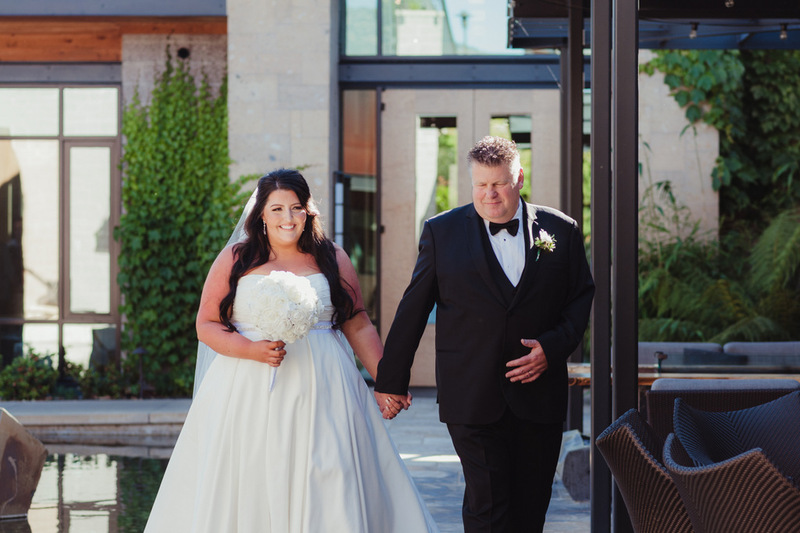 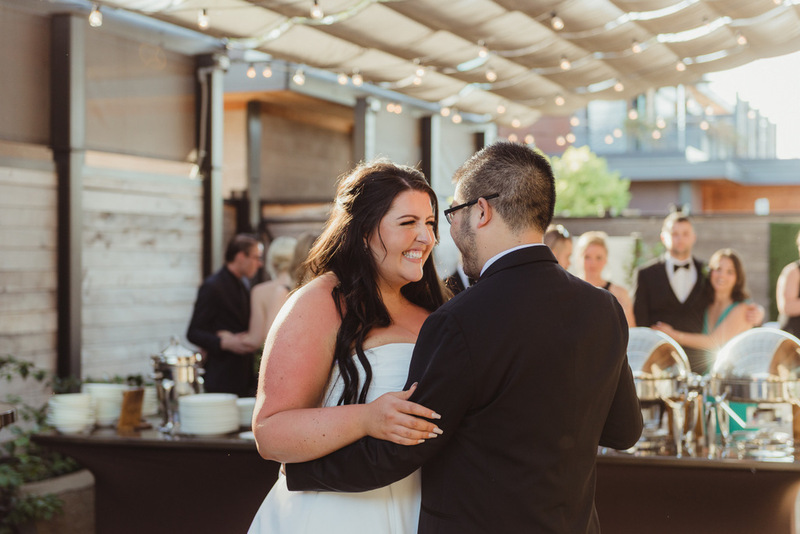 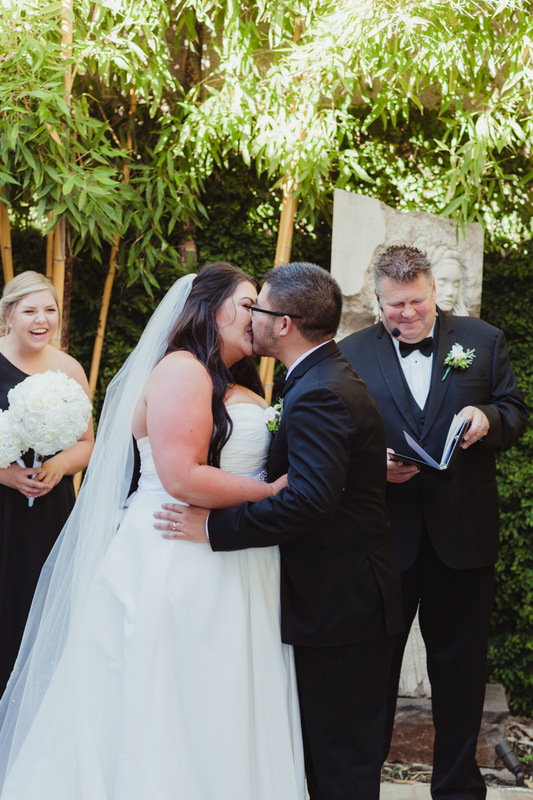 Surrounded by their 30 closest friends and family, they said their vows in the hotel’s courtyard with Alix’s father officiating. 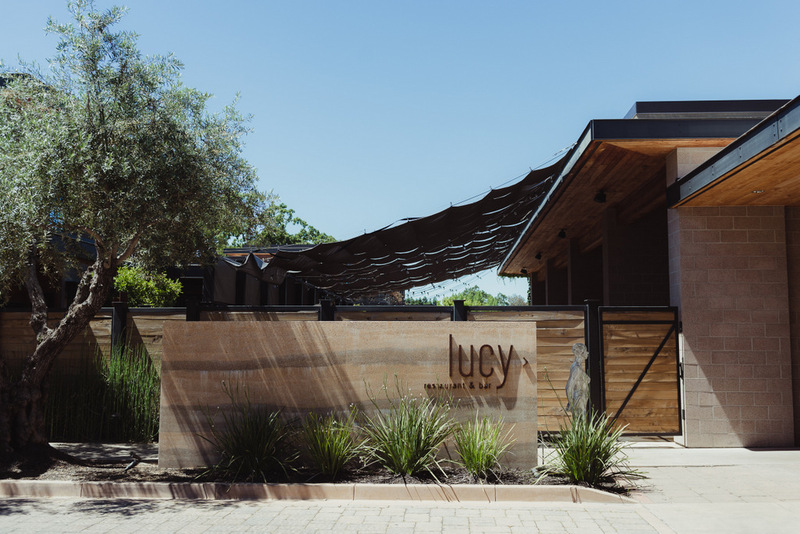 Afterwards, everyone was invited for cocktails and dinner outside of Lucy Restaurant before we wrapped up the evening with dessert and sparklers.